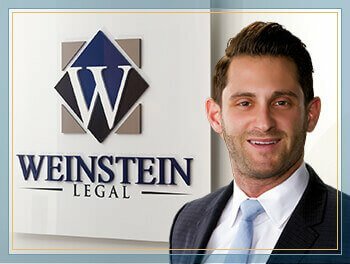 If you or a loved one has suffered a personal injury and you need a legal professional on your side, contact Weinstein Legal. Our law firm is dedicated to helping personal injury victims after a serious incident caused them harm. Contact our personal injury law firm in Fort Lauderdale now to discuss the details of your claim. Our office is always available to setup a consultation. Our law firm's areas of practice cover a wide array of legal issues and we offer confidential, no obligation, legal consultations that can help us determine if you have the grounds to file a personal injury claim. When you have been injured in an accident, you have more to worry about than dealing with an insurance company. When you have been hurt, you should be able to focus on recovering from your injuries. Let our legal team represent you so that you can rest easy. Using our knowledge and experience, we will thoroughly review the details of your claim and build a strong case in your favor so you obtain the maximum amount of compensation to which you are entitled. Located in Fort Lauderdale, Florida, the Weinstein Legal team is ready to assist clients in South Florida and the Treasure Coast. Fort Lauderdale is a seaside home to over 165,000 in the city proper, and more than 5.7 million in the Ft. Lauderdale metro area. The city is the county seat of Broward County, and a popular tourist destination due to its over 3,000 hours of sunshine per year. Abundant in recreational activities, restaurants and nightlife, watersports, and history, Fort Lauderdale offers opportunities for families and groups of all kinds to enjoy a variety of activities. Known as the "Venice of America," Fort Lauderdale is a top destination for cruise ships and deep sea fishing, home to a bustling business district, and the International Swimming Hall of Fame. At Weinstein Legal, we wish everyone a safe and healthy experience in Fort Lauderdale. However, should you need assistance, these local resources are available to you. If you have been injured, seek medical attention immediately. If your injury requires legal assistance, contact us for a free consultation.